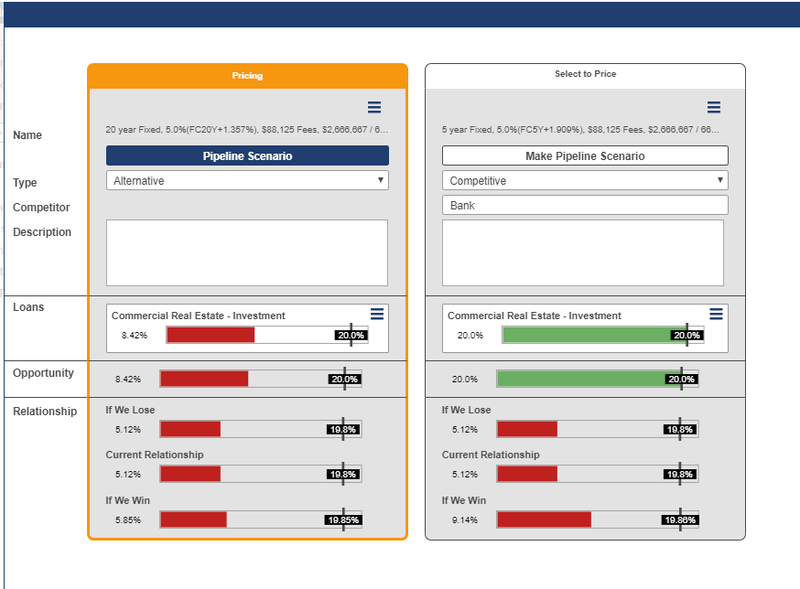 In PrecisionLender you have the ability to create multiple scenarios in an opportunity and mark them as competitive. 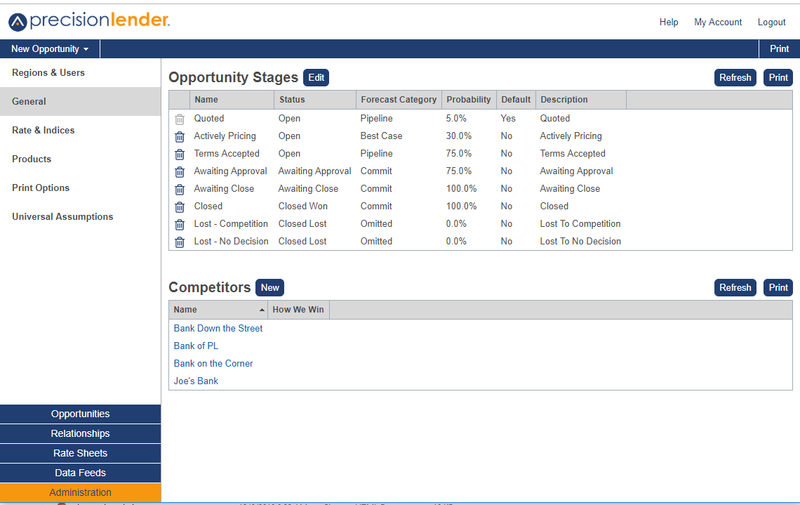 When a scenario is marked as competitive, lenders will be asked to enter the competitor. By going to the General section of the Administration screen you can enter a list of competitors. Entering your usual competitors here will give the lenders a list of selections that will auto-complete for them and help insure that your lenders use the correct names. Note that lenders are still able to enter names that are not on this list and when they do, that name will be added to this list. To enter a new competitor, simply click the New button and enter the name of the competitor as well as any notes you may have about how to win against this specific competitor. To get the most up to date list, click on the refresh button and the list will be populated with any additional names that have been entered as competitors by your lenders.